LOS ANGELES (CN) — A British artist sued Kylie Jenner, NBCUniversal and E! Entertainment on Tuesday, claiming they ripped off her art to promote the reality star’s new TV show. Jenner began appearing in the E! “reality” show “Keeping up With the Kardashians” when she was 9. 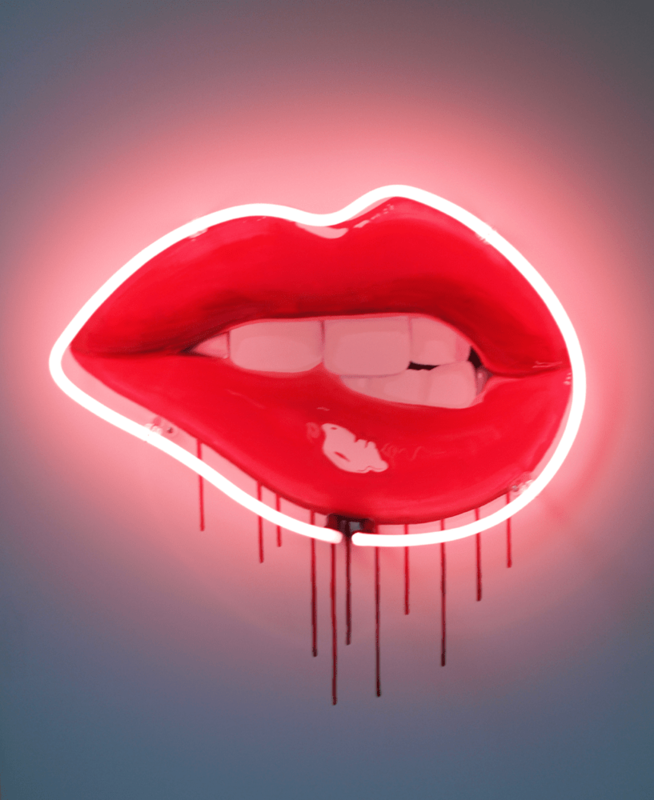 “Temptation Neon” shows a pair of dripping, high-gloss lips, slightly bitten at one corner surrounded by neon lights. The image used in the ad, posted in the complaint, is strikingly similar, save for being more pink than red. Jenner is using Pope’s artwork to build her own her brand, the artist says. “The finished artwork conveys glamour, intimacy, and sexual power — themes familiar to defendant Kylie Jenner,” the complaint states. The infringing image appears in two ads for “Life of Kylie” on E! Online, and have been posted on Jenner’s Twitter feed, Pope says. The artist says Jenner has a history of infringing on the work of other artists. She cites a federal lawsuit a photographer filed this month in Los Angeles against Jenner and her sister, Kendall, a model, claiming they overlaid photos of their own faces on top of copyrighted photos of Notorious B.I.G., Tupac Shakur and others on T-shirts for sale. Pope’s lawsuit also cites accusations against Jenner last year accusing her of infringing on the work of professional makeup artist Vlada Haggety on her Instagram page. Jenner has more than 96 million followers on Instagram. According to Pope’s lawsuit, the reality star earned about $3.6 million last year from sponsored posts on the social media website. Pope seeks punitive damages for copyright infringement and unfair competition, an injunction, and all materials using her artwork destroyed. She is represented by Connor Lynch in San Diego. Representatives for Jenner and the networks could not be immediately reached for comment Tuesday.